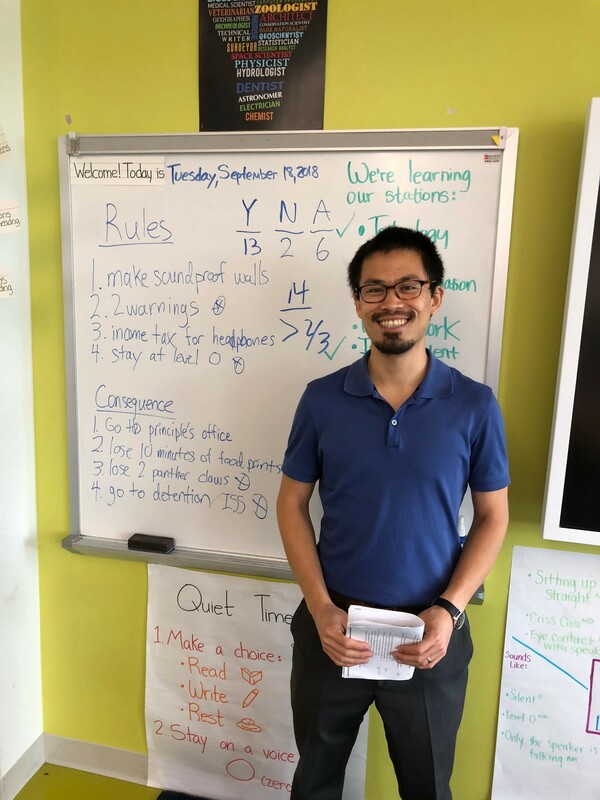 Jeffrey Chang volunteered to teach public school students in Washington, D.C., about the Constitution today as part of the American Constitution Society Constitution in the Classroom program. The DC Bar partnered with the DC Lawyer Chapter of the ACS to place volunteer attorneys and law students in public school classrooms. Mr. Chang and other volunteers were able to teach their own lessons on this year’s theme – Separation of Powers. Jeffrey Chang volunteered to teach the Constitution and separation of powers to fourth-grade students at Watkins Elementary in Washington, D.C.